Kanger EVOD Genuine Replacement Coils heads have been sourced directly from Kanger, so you'll know you're getting the real deal for your Kanger EVOD and you'll be set to enjoy the clean taste of your favourite eliquids. After all it's all about flavour, right? After replacement of new Coil Heads and filling of your Kanger EVOD please allow new wick to soak in for 2 to 3 minutes for that perfect vape. 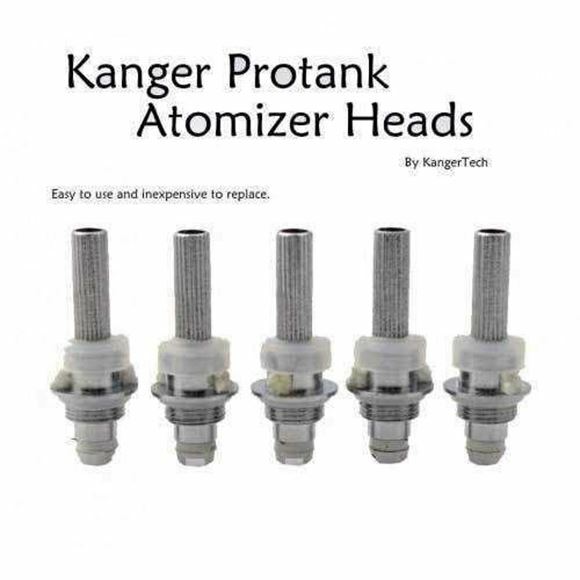 Buy a bunch of Kanger EVOD Genuine Replacement Coils heads for your Kanger EVOD while they are at such a low price! If ordered with other product then Kanger EVOD Replacement Coil have free shipping as it will not add any extra shipping charge.